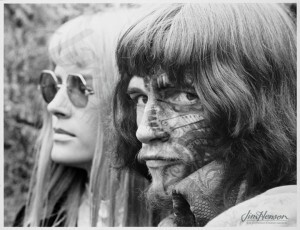 Jim’s NBC Experiment in Television: Youth ’68 combined filmed interviews of the man on the street with those of music celebrities, famous quotations read and recorded in a studio, and musical numbers illustrated with innovative film techniques. 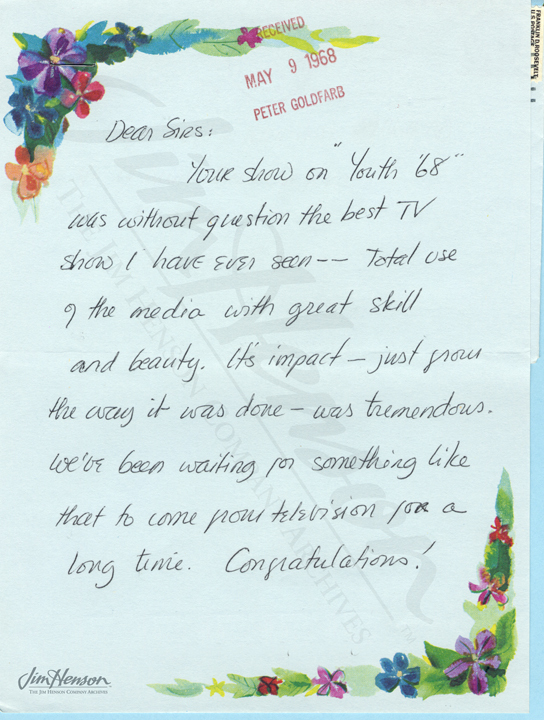 The real heart of the show was interview clips featuring America’s youth juxtaposed with those featuring the older generation. Within those groups, the contrast between urban/coastal and those from the rural heartland was impactful and telling about the conflicted feelings in a changing society. Having shot the studio quotations and dance numbers in February, Jim returned from his travels and got the last of his on-the-street footage on March 28th. Scenes of urban loneliness were captured on West 48th Street and in Times Square in the morning. After lunch, Central Park provided the background for “lyrical shots”, “angry SDS spokesmen” and, “Flower People…talking softly of hope.” Jim then had less than four weeks to put it all together, choosing clips, adding music, editing the dance numbers, and making it all flow. It went on the air to great critical acclaim, and the fan mail rolled in, mostly extremely positive but with a few from unhappy viewers. 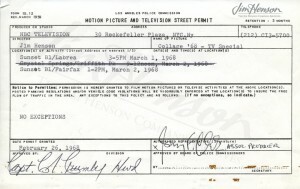 Jim’s location permit for Los Angeles. 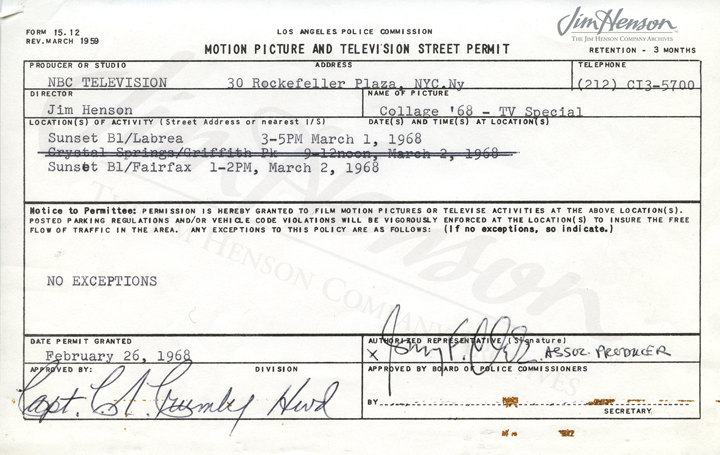 He filmed just down the block from the Henson Company’s current home. Some of the youth represented in Youth ’68. 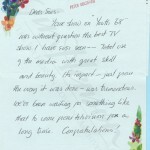 Positive fan mail for Youth ’68. 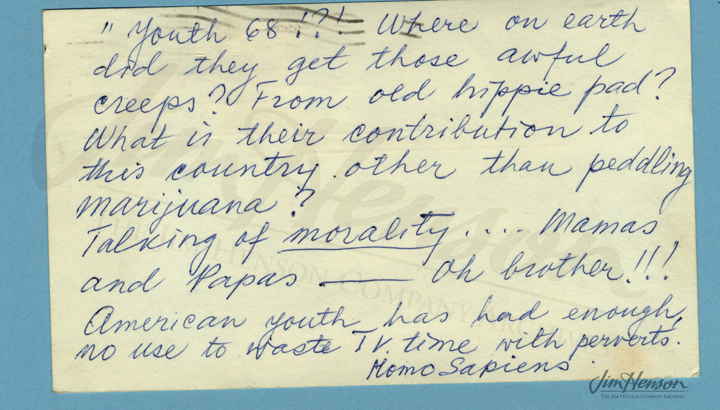 Negative fan Mail for Youth ’68. 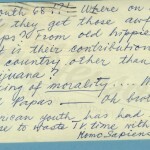 This entry was posted in 02-February '68, 1968, Youth 68 and tagged Barry Clark, Houston, Los Angeles, Miami, New York, Omaha, San Francisco. Bookmark the permalink.